Proven to be over 70% faster than traditional methods, see how ParkCAD™ has helped users reduce cost and time in the process of developing multiple parking site iterations. By generating your parking layouts in a matter of minutes, not hours, you’re able to get on with your important design work faster instead of using up valuable time on redoing parking arrangements. Next time you reverse into a supermarket parking bay, look around and consider its design requirements. 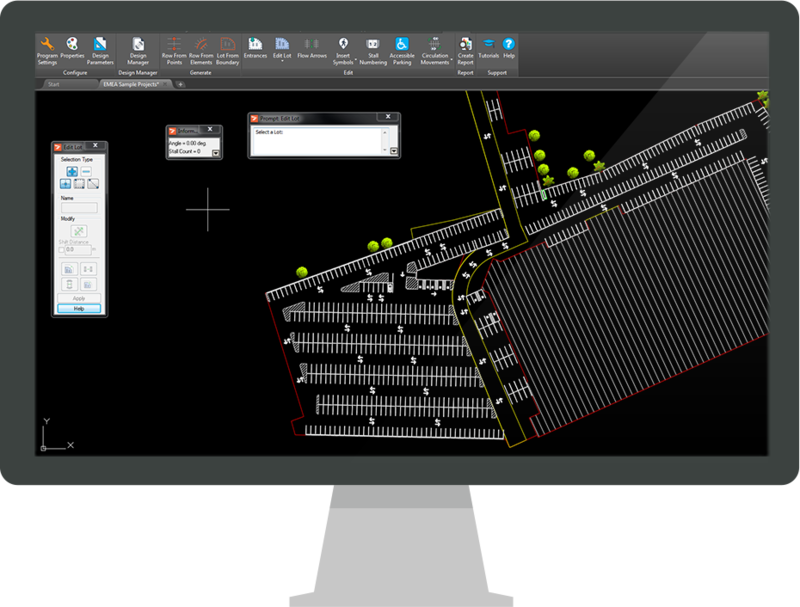 It's not quite as straightforward as you might think, says David Chadwick, having taken a closer look at Transoft Solutions’ ParkCAD software. One particularly challenging aspect of theparking layout came while estimating offstreet surface public parking facilities in the unique crescent-shaped lots. ParkCAD release announcement featuring the latest features for reporting capabilities (quantity take-off reporting) and improved parking analysis (SmartL.O.T).